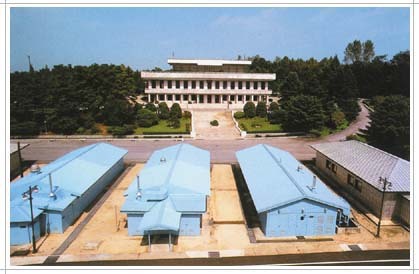 This Panmunjom is only a 800 square meter area decided as Joint Security Area between U.N. and North KoreaThis Panmunjom is officially called as Joint Security Area (JSA) between U.N. forces and North Korean forces, and is a special area that is out of a administrative control of South and North Korea. 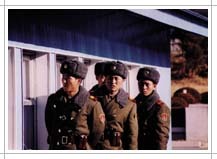 U.N. and North Korea operate 6 guard post each in JSA and 35 security guards reside in it. 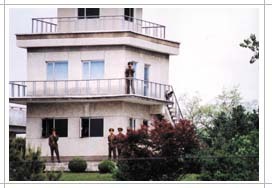 After the axe murder incident on 18 August 1976 by North Korean Soldiers, security guards can not walk over the other side¡¯s area.